There are many interchange stations on Hong Kong’s MTR, but the connection between Tsim Sha Tsui station on the Tsuen Wan line and East Tsim Sha Tsui station on the West Rail line has to take the cake as the most complicated. 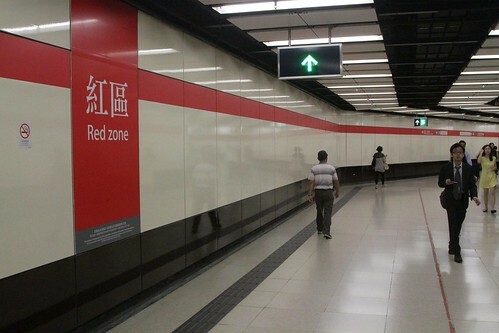 As soon as you exit the ticket gates at East Tsim Sha Tsui station, a wall of signage offers a world of destinations – so checking the station map is a good start! There are multiple exits back to street level. And a labyrinth of pedestrians subways connecting the two stations. 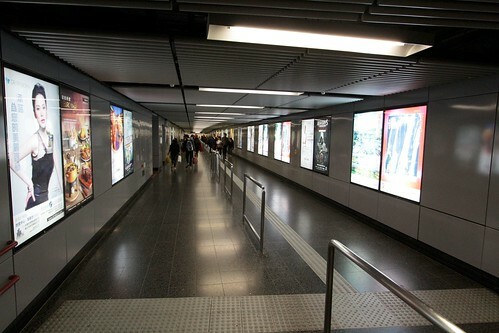 Some of which feature travelators to speed your passage, or reduce the amount of walking required. And assigned colours to tell them apart. There is the ‘Green Zone’. And the ominous sounding ‘Red Zone’. 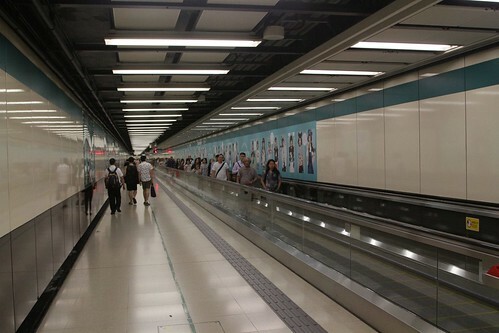 Along with an unbranded section beneath Nathan Road. 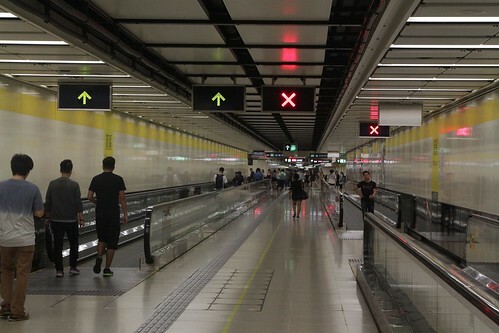 Which hopefully leads you to Tsim Sha Tsui station. 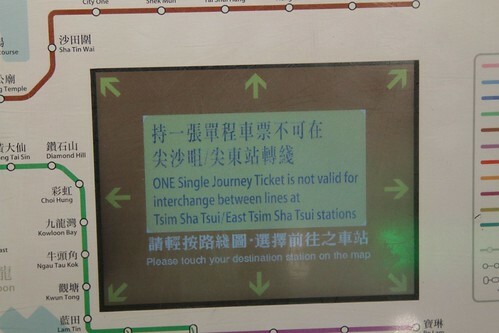 The subways linking the two Tsim Sha Tsui stations is outside the ticket gates, so someone using a ‘Single Journey Ticket’ cannot use it for a free transfer. 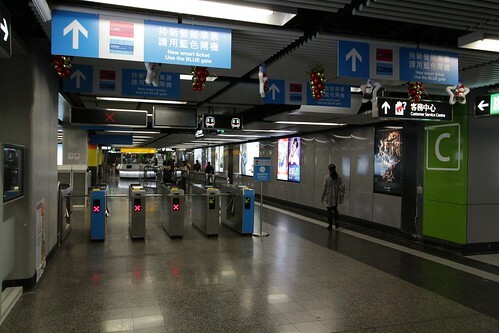 This is because single journey tickets are retained by the fare gates on exiting the station. 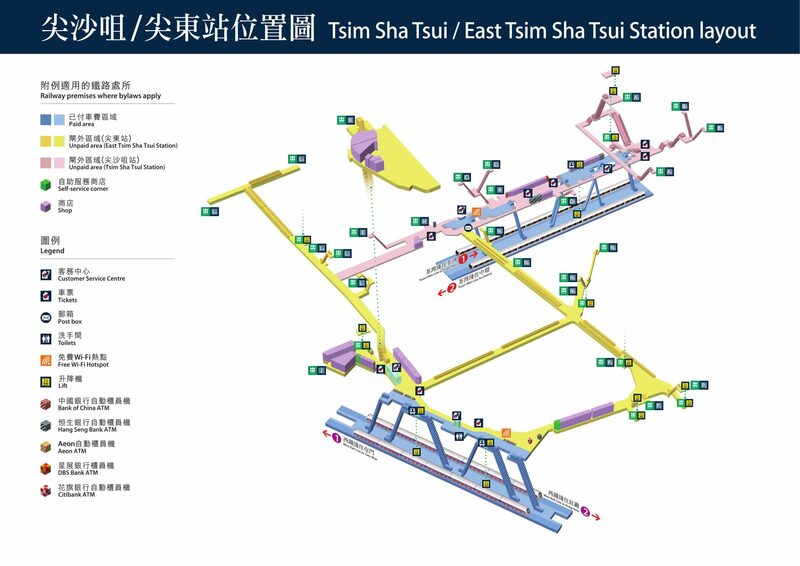 Separate entry and exit gates are installed at Tsim Sha Tsui and East Tsim Sha Tsui stations. 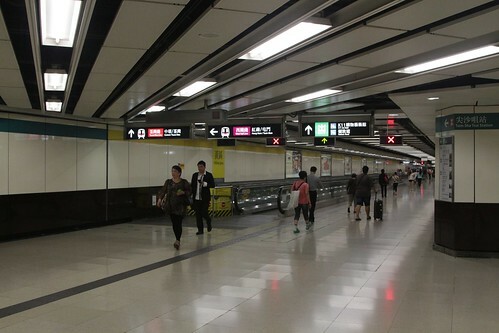 Octopus users who interchange between these two stations within 30 minutes will be considered as having taken one journey. The full fare for the first sector travelled will be deducted when exiting the first station. The remaining balance of the fare will be deducted upon exit at the final destination. If the total fare is less than the first sector charged, a refund of the amount over-deducted will be credited to the Octopus at the final exit gate. 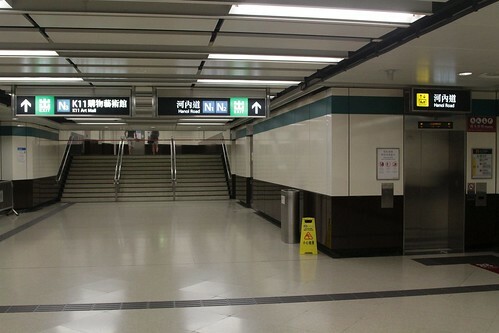 However, any same station entry and exit trip at these two stations will be treated as a separate journey, and not form a part of an interchange journey, with a separate fare. interchange interval. Otherwise, full fares for two separate journeys will be charged. The last line is the interesting bit – it appears that an Octopus card only remembers the last 10 actions, and so making too many transactions while changing stations will result in the original station ‘A’ exit record being overwritten, meaning the interchange will not be recognised when entering station ‘B’. 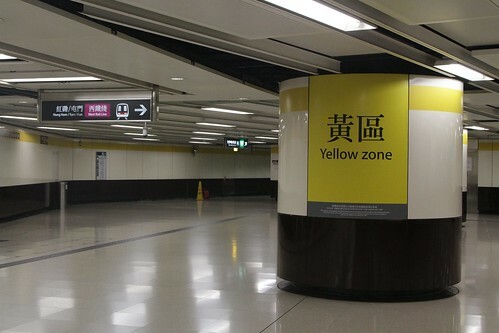 There have been also software bugs in the Octopus card system that have resulted in the interchange discount being incorrectly applied, the most recent in April 2016. 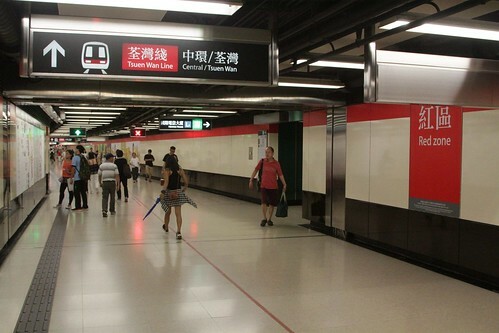 This entry was posted in Transport and tagged Hong Kong, interchange stations, Mass Transit Railway, MTR, trains, Tsim Sha Tsui, Tsuen Wan Line, West Rail. Bookmark the permalink.